With the renovation of the classroom and the construction of an additional one completed, the Middle School for Girls, Mustanada Province, was handed over on 17 July to the Ministry of Education. 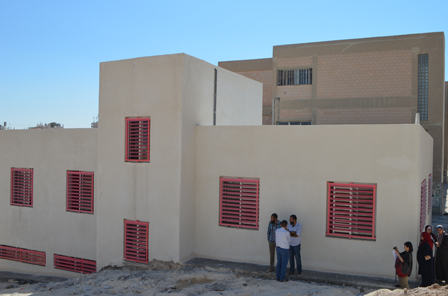 This marked the completion of all the projects implemented by JEN and thus the closure of the JEN Amman Office. 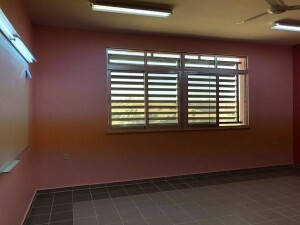 The school building with the additional classroom . 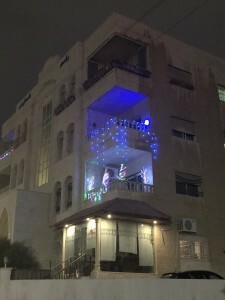 The JEN Office in Amman, Jordan, opened in 2003 as the operational base to support the Iraq programme. 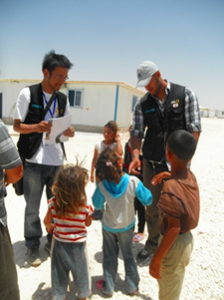 From 2012, the Amman Office was engaged in the emergency assistance to the Syrian refugees in the Zaatari Camp and the adjacent refugee hosting local communities. 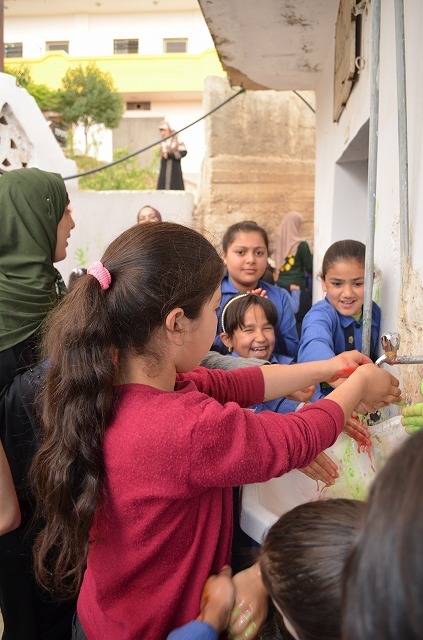 In the Zaatari Refugee Camp, JEN improved the water-supply system, activated the refugee community, promoted sanitation and hygiene awareness among the refugees. 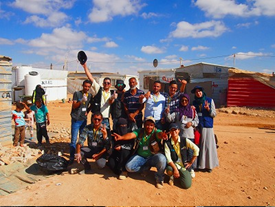 Through the media production project, we also tried to empower the refugee youths. In the refugee hosting communities, we supported those schools enrolling refugee children by renovating and expanding the water facilities, and teaching sanitation and hygiene to the pupils – and thus improving their overall water-supply and sanitation arrangements. During the last six years, with the end of the Syrian crisis still not in sight, JEN worked hard to enhance the quality of life of the refugees in Jordan. 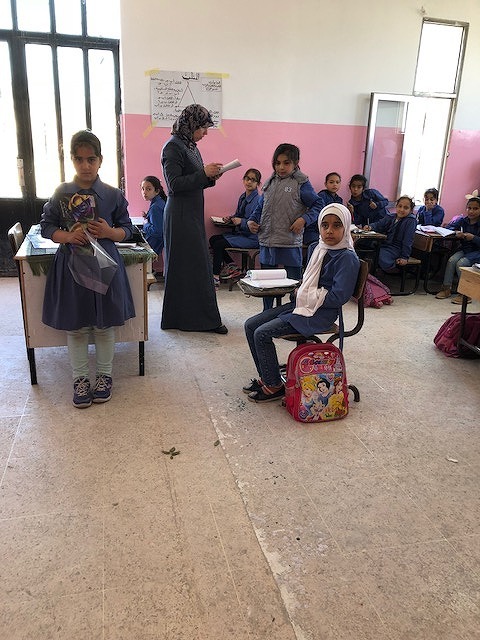 We are not sure when the Syrian refugees will repatriate, but when they do, we are hopeful that those refugees that participated in the JEN projects, will be among those to take the lead in becoming self-sustaining. For the past fifteen years, JEN successfully had run the Amman Office. 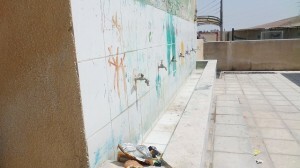 This was made possible thanks to the dedicated work of the local and the Iraqi staff, as well as the refugee volunteers. Last but not least, we cannot thank all of you enough for the unchanging support you had extended to JEN Amman during these years. Ramadan lasts around 29 days, from crescent moon of the ninth month of Islamic calendar until the following crescent moon. This year in Jordan, it started on Thursday, 17th of May. From sunrise (around 4 am) to sunset (around 7:30 pm), it is prohibited neither to eat nor drink. 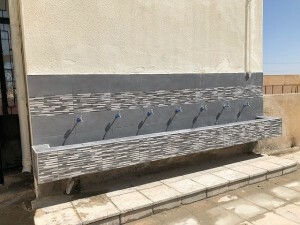 It is very hard not to drink water during the day with strong sunlight. I tried fasting too, but gave up in 3 days. 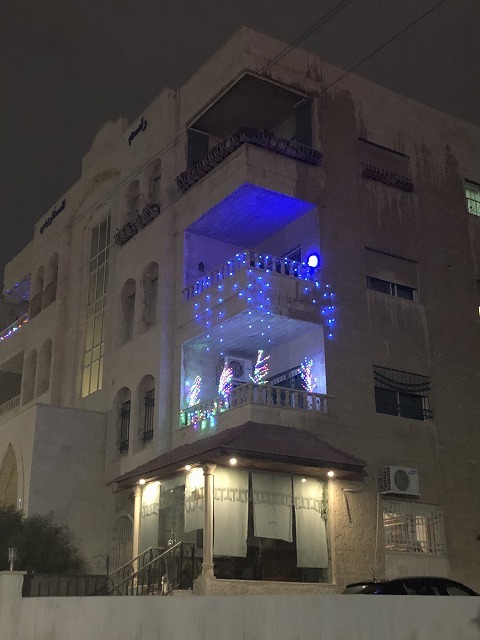 During Ramadan, the city is very quiet since restaurants are closed. However, around 1 hour before sunset the stores start to open and people start to gather. As restaurants and cafes are open until 4 am, it is noisier at night. 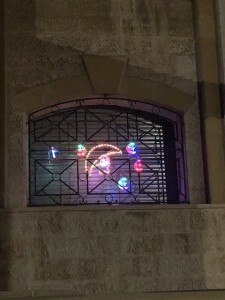 The houses are lighted up or decorated with ornaments of crescent moon, the symbol of Ramadan, and gives the impression of Christmas in Japan. 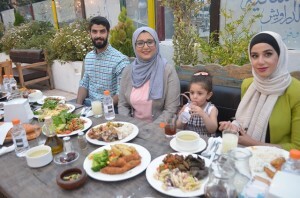 Few days ago, the host community team of JEN went to a restaurant to have Iftar, or the meal after sunset during Ramadan. We started eating at the same time as the sunset. 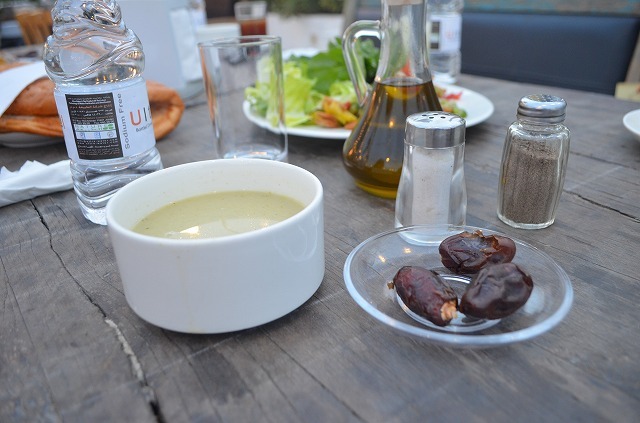 In order to avoid any burden to stomach, we started from liquids such as juice or soup. 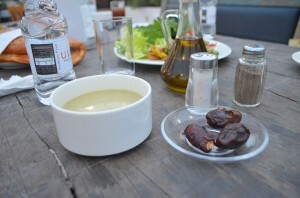 Then we started eating dates or salad, and then moved on to main dish. 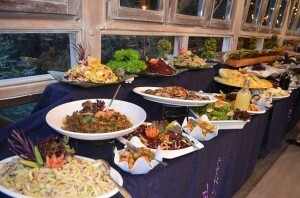 There were many dishes like meat or fish fry. 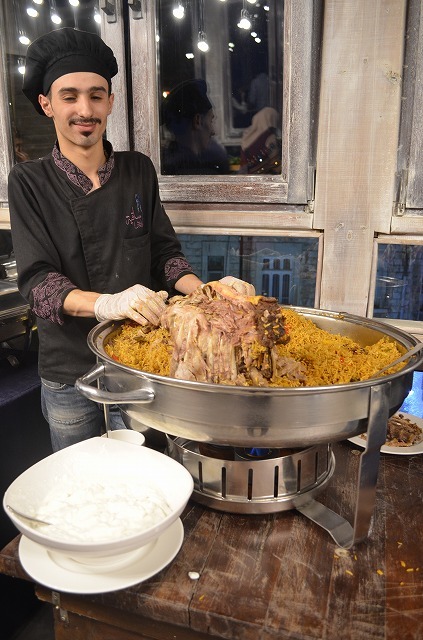 We were amazed by the variety of dishes in Arabian cuisine. 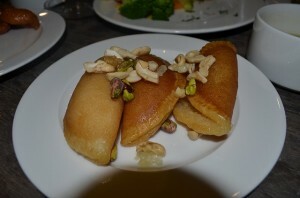 After meal, it is common to have kadayif, or syrup-covered fried pancake with cheese or nuts inside, as desert. This desert is only served during Ramadan. During Ramadan, we are unable to sleep at night since the only time to eat is the period after sunset and before sunrise. It is hard time for JEN staff too. Regardless of hunger and sleepiness, we try our best not to delay projects, and focus to work in shorter hours, from 9 o’clock to 14 o’clock. On May 10, we held Sanitation Day Event in a school in Jerash Prefecture, located 48km north of capital Amman. Jerash Prefecture is located in plain area surrounded by rich basin and hilly forest. It is said that a village existed there since the Bronze Age (B.C.3200 to B.C.1200), and in B.C.63 the land was conquered by General Pompeius and became under control of Roman Empire. It became one of the Décapoles, league of towns of Roman Empire, and flourished by trading. Today, it is the fourth largest Prefecture in Jordan where 240 thousand people live*. 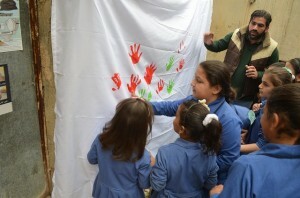 This time, we held Sanitation Day event for 93 students of Borma Girls Elementary School in Jerash Prefecture. 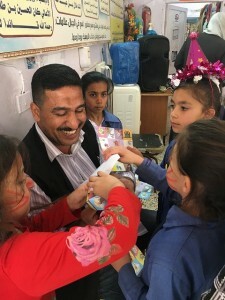 JEN is actively visiting schools every day and holding events and sessions in the limited project period, which ends in few months. 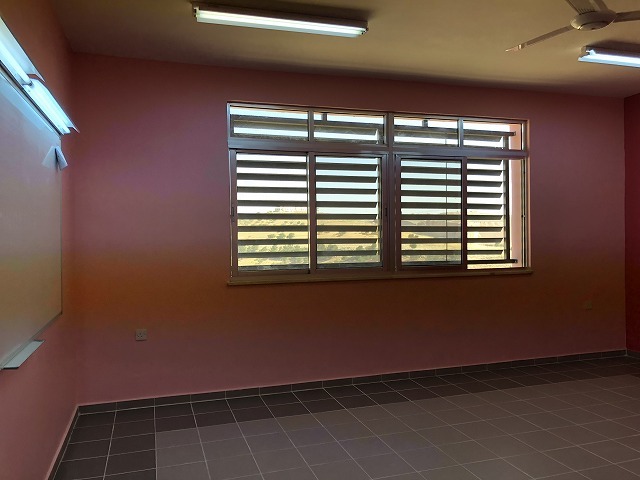 Recently, we finished restoration and extension work of Al Mzayer Comprehensive Girls School in Amman Prefecture, and delivered to the Ministry of Education of Jordan. Today this school has approximately 370 female students, of which 5% are Syrians. 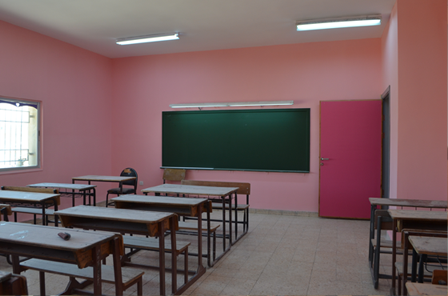 This time, we provided extension work for 6 class rooms, 5 toilets, and repair of wash basin and existing classrooms. In Jordan, shortage of classrooms is becoming a problem due to inflow of many Syrian refugees. After our restoration and extension work, the number of children who can go to school will increase. 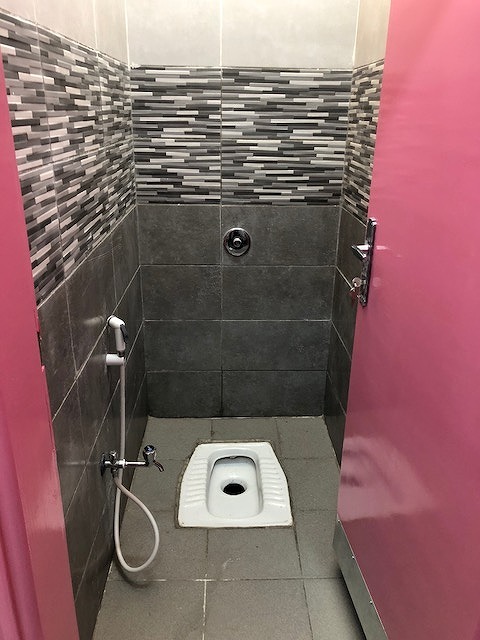 Also, we repaired toilet and wash basin, and organized environment where children can practice what they learnt from sanitary session. In the session, we focused on promoting hand washing to maintain clean environment, therefore the maintenance of wash basin was essential. JEN’s engineers will visit the school even after delivery, and will check if there are any defects when students use the facilities. 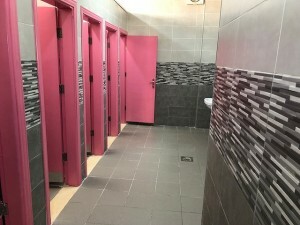 We changed all taps, replaced the tiles to those that do not easily turn dirty. Clogging of piping due to garbage was solved too. 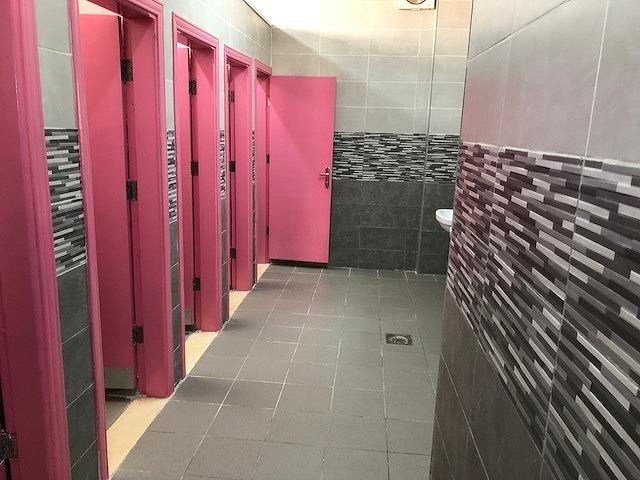 Tanks were embedded in the wall so that students do not break toilets. 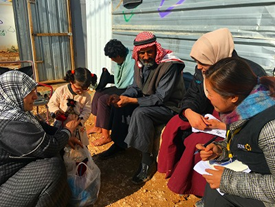 On Marth 31st, 2018, JEN concluded our support programs at the refugee camps in Zaatari. We’d like to take this opportunity to show our sincere gratitude to all those who have supported us. As the war in Syria dragged on, the upmost challenge for refugee camps was the mid-long term management. 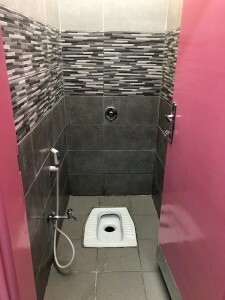 All international organizations involved, JEN included, started to work much harder to develop an infrastructure and community within the camps. The media project for young refugees and the lessons on mutual support system for women were among those programs to help each individual find something to live for and a way to live self-sufficient and independent life during the prolonged refuge period. 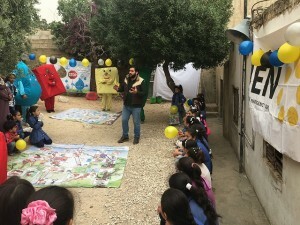 Each program was operated and developed by tremendous supports of our local JEN staff from Jordan, as well as Syrian refugees at the camp who volunteered to join our programs actively. We would like to take this opportunity to show our gratitude for their devoting contribution. شكرا لك！ Thank you so much! For more details on our programs in Jordan, click here. * The operation of JEN’s programs now has been handed over to other international organizations.